Only 2 w/2LT models left in stock! Onboard Communications System, Dual Zone A/C, Satellite Radio, TRANSMISSION, 9-SPEED AUTOMATIC, ELEC. AUDIO SYSTEM, CHEVROLET INFOTAINMENT. ENGINE, 3.6L V6, SIDI, DOHC WITH VARI. Back-Up Camera, Aluminum Wheels. CONVENIENCE AND DRIVER CONFIDENCE PACKAGE includes (BTV) Remote Start, (KA1) driver and front passenger heated seats, (UG1) Universal Home Remote, (TB5) power programmable liftgate, (V59) roof-mounted side rails, (UKC) Lane Change Alert with Side Blind Zone Alert, (UFG) Rear Cross Traffic Alert, (UD7) Rear Park Assist, (DD8) auto-dimming inside rearview mirror and (DM8) auto-dimming outside heated power-adjustable manual-folding body-color mirrors with turn signal indicators, AUDIO SYSTEM, CHEVROLET INFOTAINMENT 3 SYSTEM 8 diagonal color touchscreen, AM/FM stereo. Additional features for compatible phones include: Bluetooth audio streaming for 2 active devices, voice command pass-through to phone, Apple CarPlay and Android Auto capable. (STD), ELECTRONICALLY-CONTROLLED with overdrive, includes Driver Shift Control (STD), ENGINE, DOHC WITH VARIABLE VALVE TIMING (VVT) and Active Fuel Management with Stop/Start (305 hp [227 kW] @ 6600 rpm, 269 lb-ft of torque [365 N-m] @ 5000 rpm) (STD). KBB.com's review says Countering its competitors' strengths, the Blazer charms with daring style, satisfying road manners, and a generous standard-equipment list. 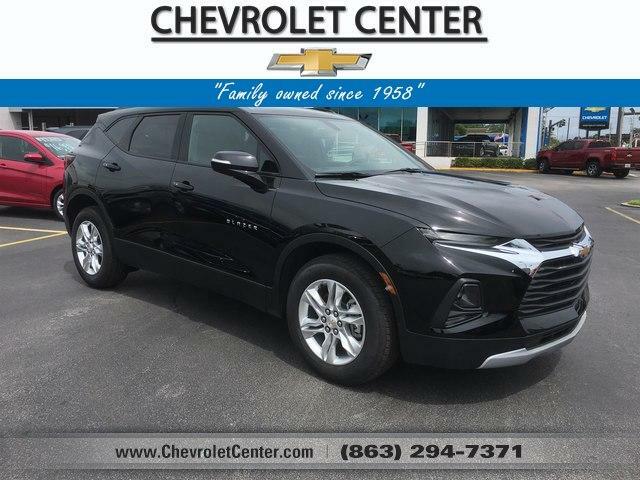 Its name might recall the past, but the 2019 Chevy Blazer is properly suited for the needs of modern SUV buyers..